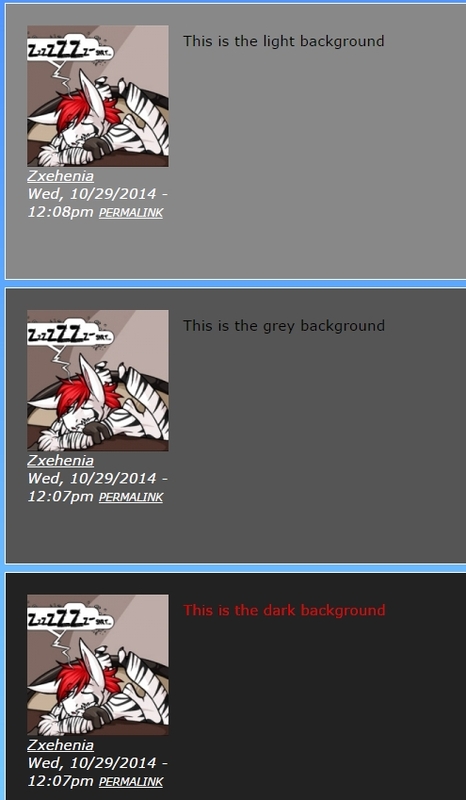 Here on Vaxia we are able to customize our text color of our chat posts. We even now have the option of three different background colors - so the possibilities are endless! Do try and be respectful of the other players and keep your text color readable. This is even easier to achieve thanks to the choices we have in back ground color. So if you really like a text color but others comment about it being hard to read on the background, try selecting a different background to make it more readable. 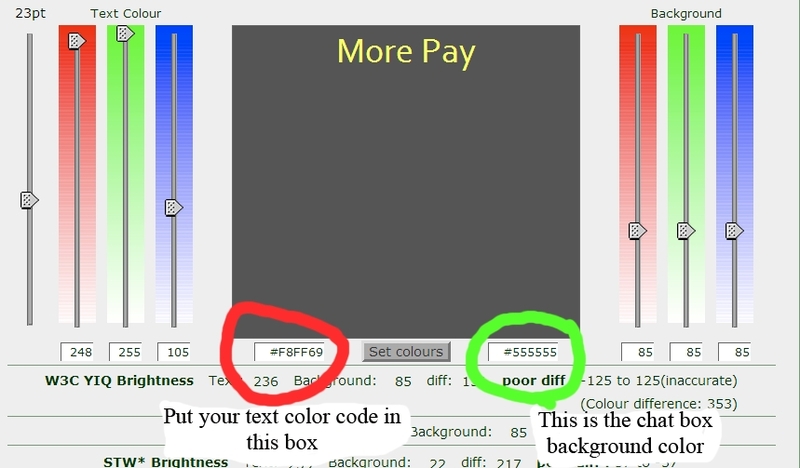 So how do you set your text color and text background color? One way right underneath the chat boxes on the left hand side. Then to change the background of your text box - find the text Background# - under that will be a drop down box, click on that and then chose which color option you want to use. Scroll down to see the pictures that demonstrate where these boxes are and the colors of the different text backgrounds, or click these links. Try not to spam Limbo with text color adjusting. We have a couple of places where you can do to work on finding that perfect text color and background color combination for your use. 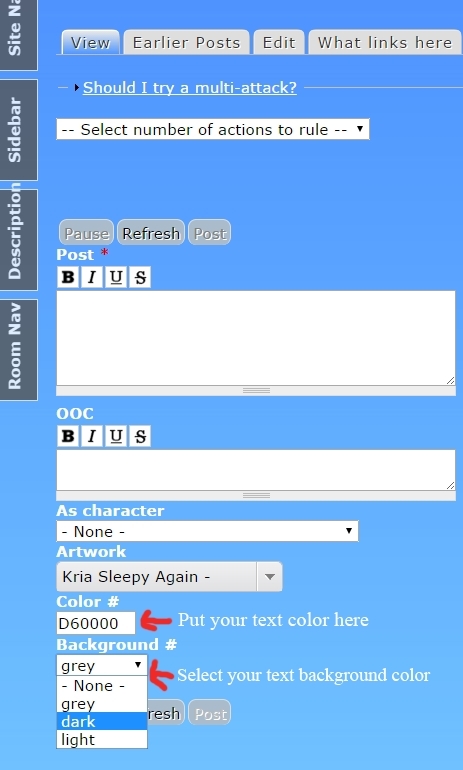 Just like the name says it is a OOC chat room that you can use to test stuff out. Second there is a website out there where you can change the background and the text color. You can also click around on the red, green and blue bars under the words Text Color to change the text color there. Then you just look where the red circle is and that is the color code. Now this already has the background color of our chat boxes put in so when you go to that site you will have to change it from #000000 to #555555.